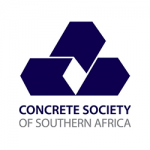 The Cape Construction Expo 2019 is the only event dedicated exclusively to the building and construction industry in the Western Cape and it presents a unique opportunity for product manufacturers and distributors as well as service providers to network with key buyers from the sector. “We were able to attain a broad range of leads over the two days from large contractors through to small contractors. The event has allowed us to reach our target market"
“I've been looking forward to attending the approval of building and applications workshop session in the Architectural Essentials Corner as it is directly in line with my day-to-day role at work"